Be still and KNOW! Knowledge from Me is wisdom! Stop, kneel and ask Me before making your plans! You succeed and accomplish so much more with Me than without Me. He says, “OK, here’s some cool God thoughts.” Boom, Boom, BOOM! Suddenly, you start thinking about things you never would have before partnering with God. 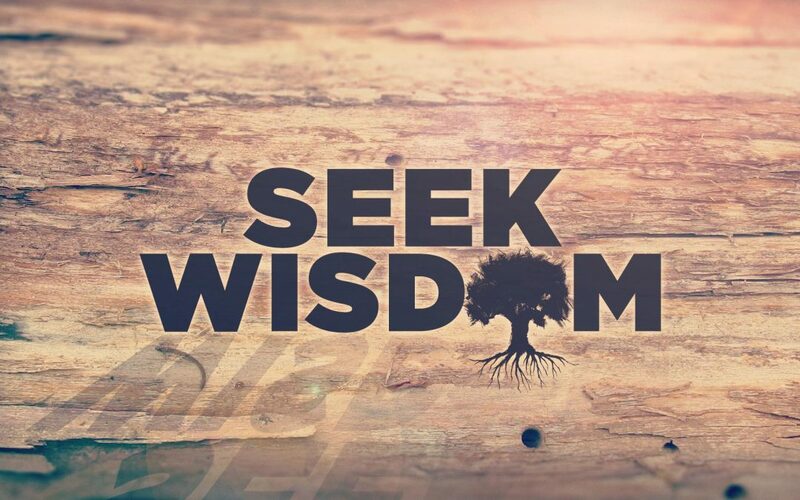 Divine wisdom belongs to you, but not if you have a thought life that belongs in the Wilderness. If you have negative thoughts about yourself, you need to go to the Wilderness where you find out you’re special to God. You’re somebody to Him and He’s not going to let Pharaoh have you. When you go into the Promised Land, you start thinking like a warrior, like someone who’s got their act together. That’s where that flow of divine wisdom empowers you to start listening to the right people and stop listening to the wrong people. It empowers you to surround yourself with victorious, like-minded Kingdom warriors. To know the promises of God for your life and, as soon as you wake up in the morning, to purpose yourself to think Kingdom thoughts about your life. This flow of divine wisdom will help you create a new normal where you are loved, celebrated and empowered to bring salvation and that same power to the lost and hurting. Are you there? If not, what’s stopping you?